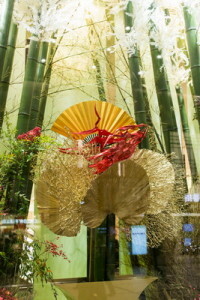 This floral artwork derives its title from the theme of the New Year Imperial Poetry Event for 2017.It depicts a scene of Sagano, with a small lane through a bamboo grove, created using madake,carefully selected Japanese timber bamboo, from the grove in Daikakuji Temple. 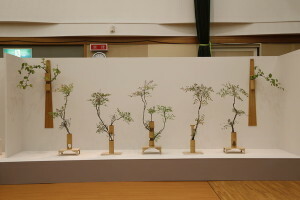 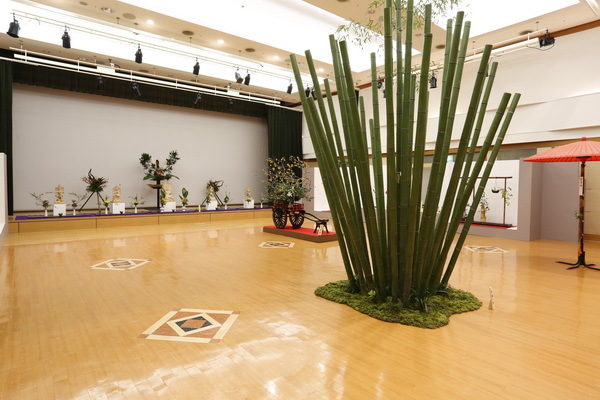 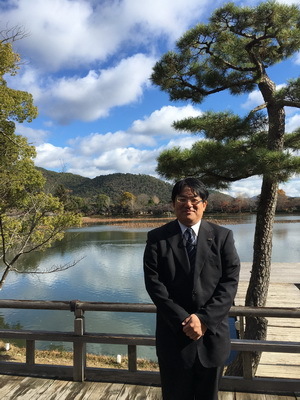 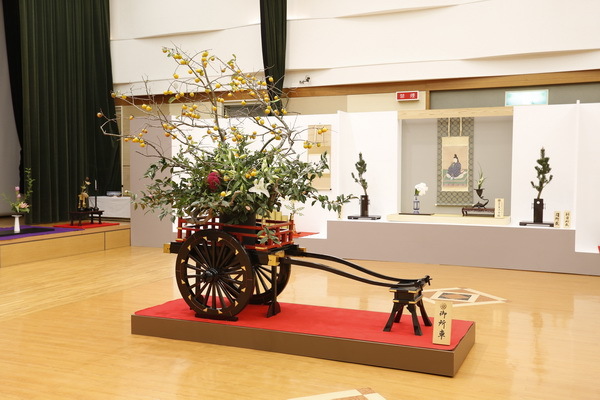 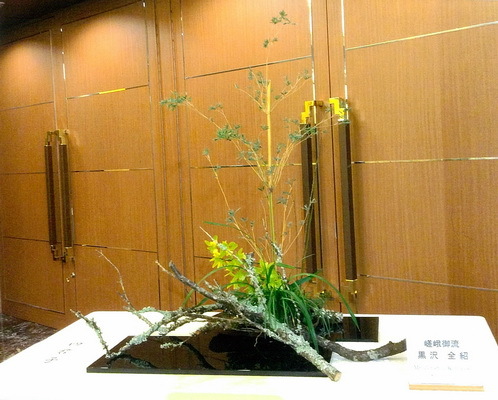 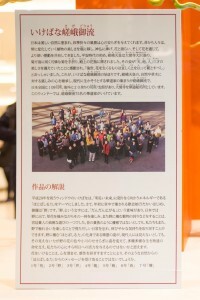 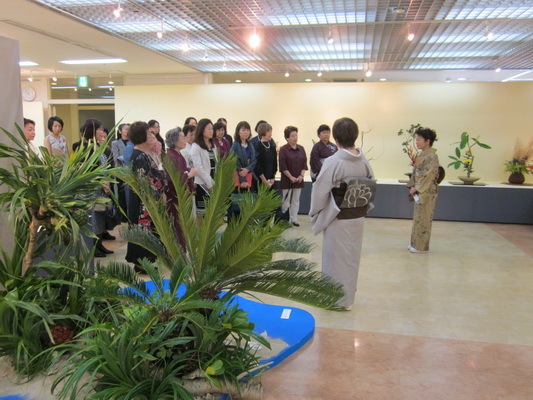 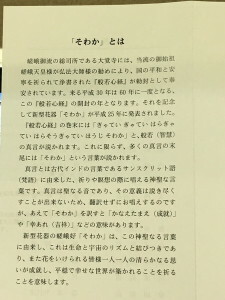 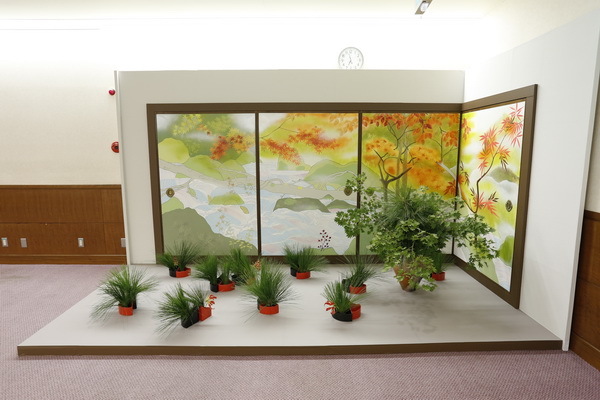 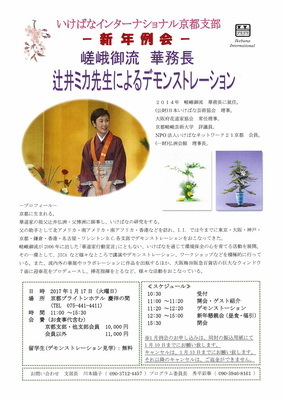 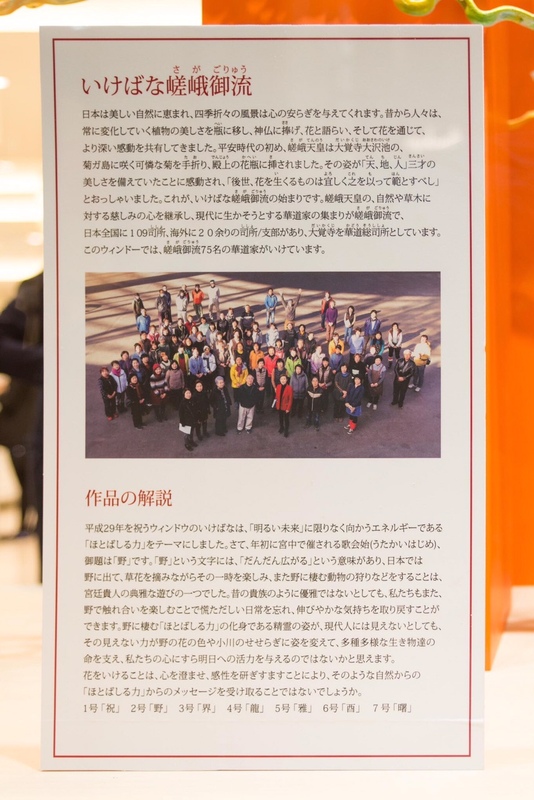 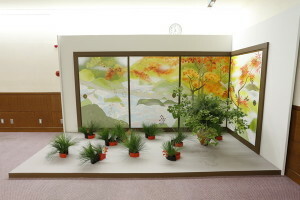 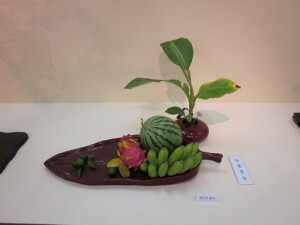 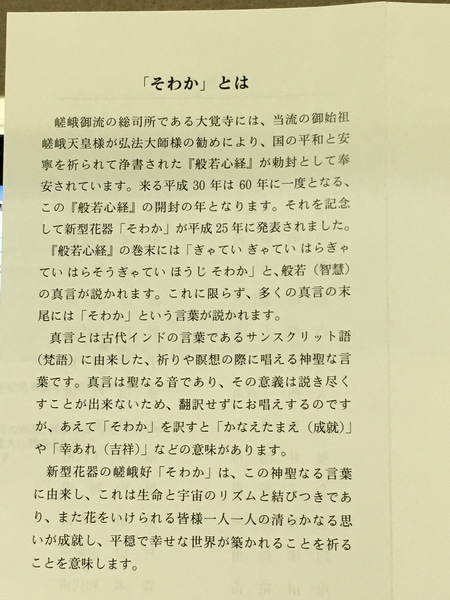 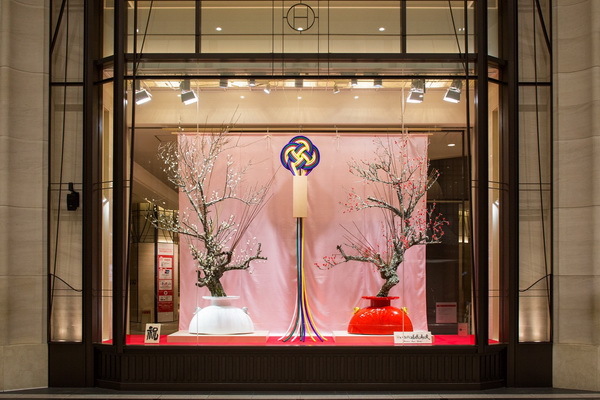 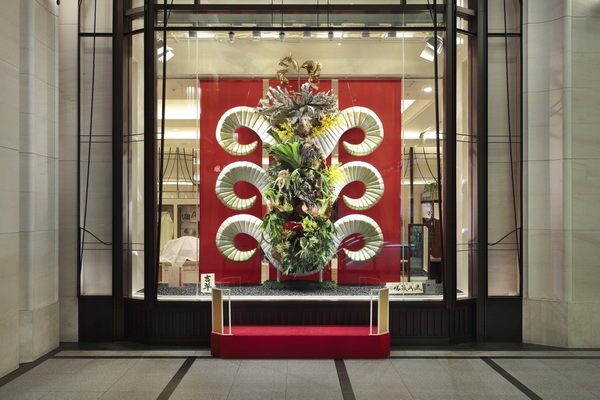 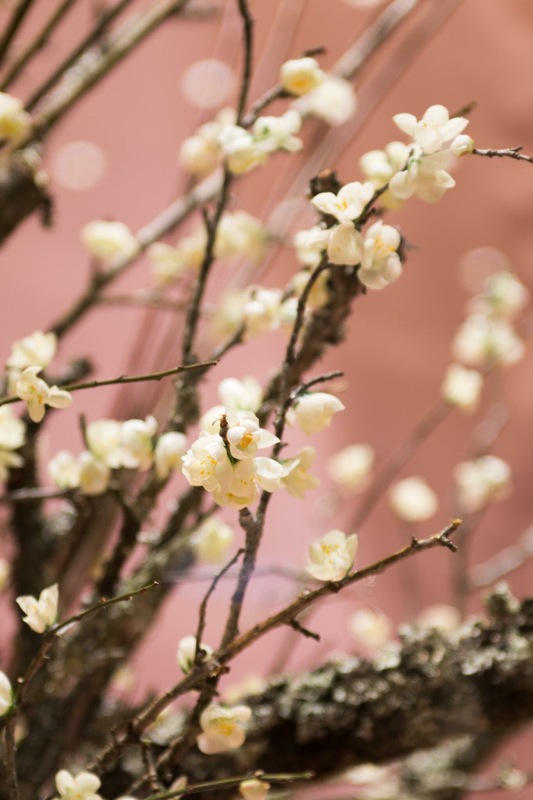 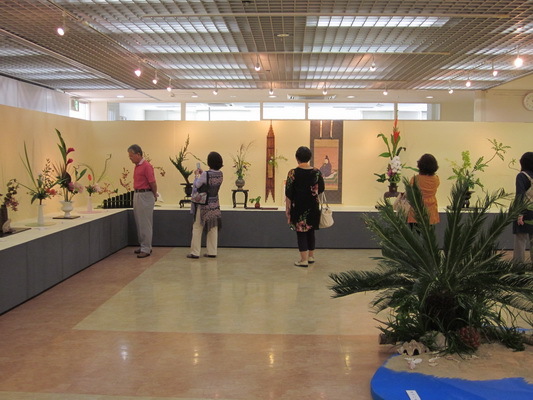 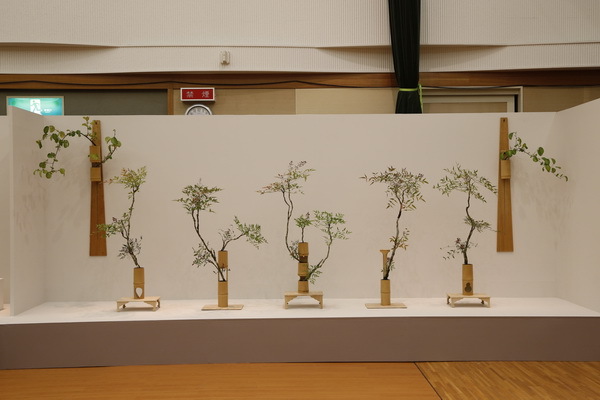 “Field” conveys Emperor Saga’s hope for peace in the world, the preciousness of life, and his love for the land of Sagano,which he displayed through his flower arrangements. 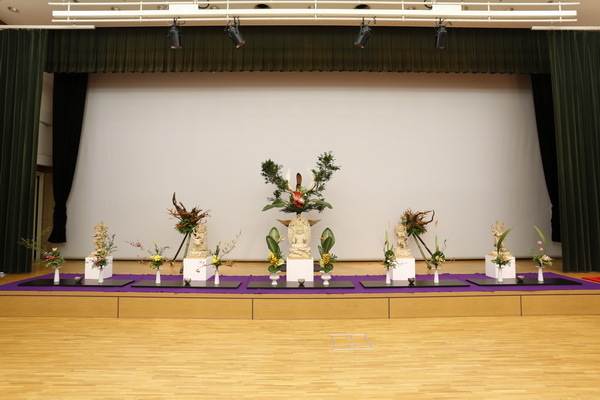 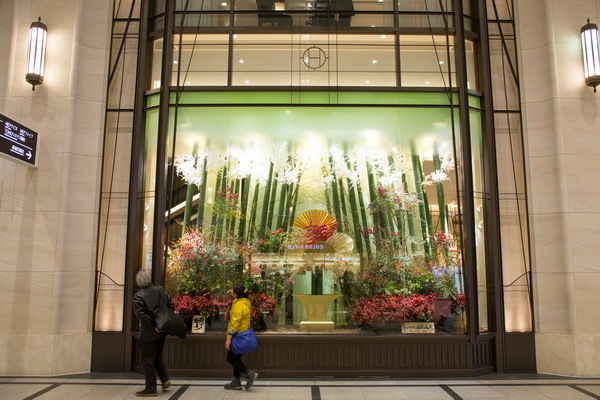 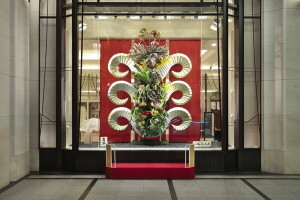 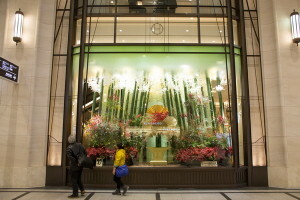 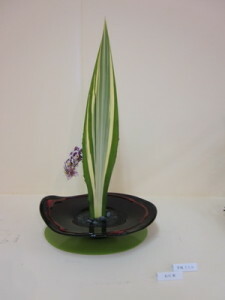 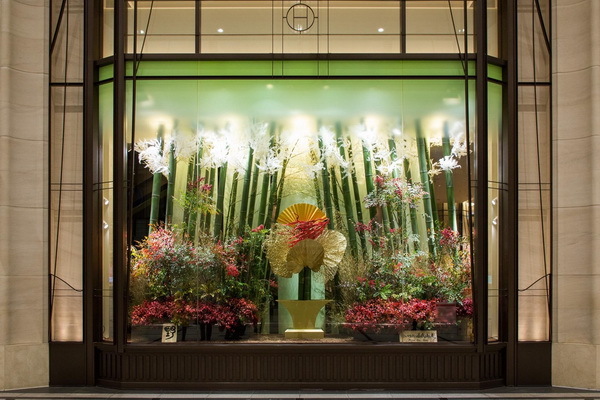 The flower in the center represents Kaguya-hime,”Princess Kaguya” born from shining bamboo. 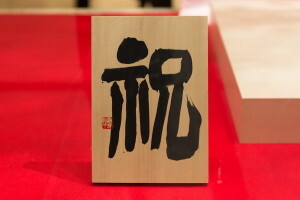 An amulet called “Uzuchi”(decorative hammer), which is said to have been displayed on the first “U noHi” (Day of the Rabbit)of the year, as long ago as the Heian Era. 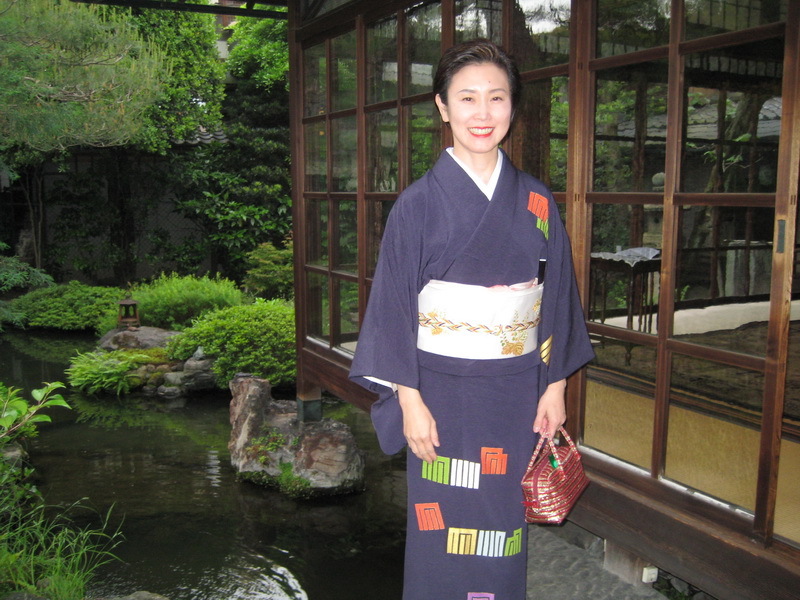 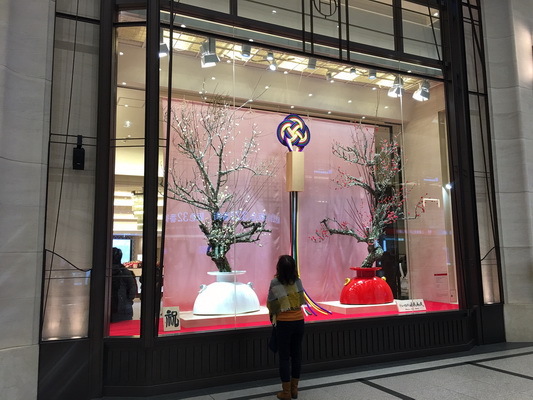 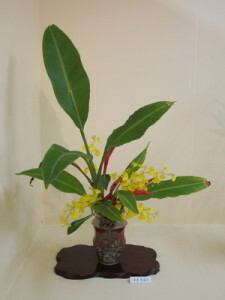 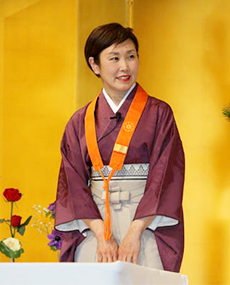 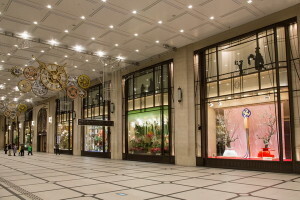 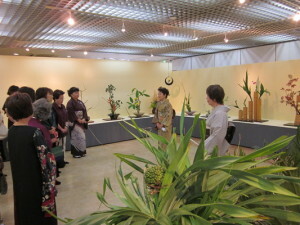 is in the center, with red and white plum blossoms to its right and left. 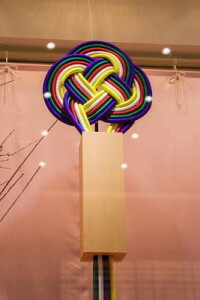 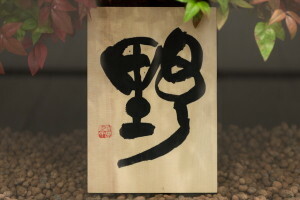 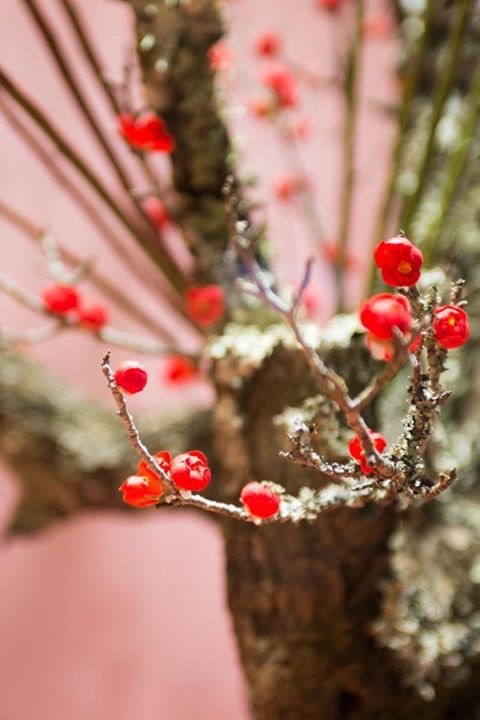 This artwork represents hope for the coming of good fortune and a wish for a year full of happiness.